If you want to experience Bitcoin unlike any other, take a step into the newly formed Bitcoin Center NYC. A block from the New York Stock Exchange, Bitcoin Center creates a lively approach to buying and selling Bitcoin in an area that has since been silent with the excitement of live trading. Each Monday, the floor comes alive with the sound of traders exchanging Bitcoin and other digital currencies. Infamously named “Satoshi Square,” which originally held trading at Union Square, Bitcoin Center NYC is the new headquarters for trading for the frigid winter months. The event this past week had 100 in attendance, filled with boisterous trading in millibits and thousandths of a Bitcoin. However, the event doesn’t just trade Bitcoin. Individuals also trade Dogecoin, the altcoin that currently has the third largest trade volume of all cryptocurrencies. “The intensity is palpable,” said a Bitcoin Center trader. 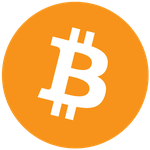 Bitcoin Center NYC is the only place in the city where Bitcoin can be traded for cash in a live environment. Pushing through a crowd to get the best price is not uncommon. If you are lucky enough to obtain your piece of crypto-cash, you will also enjoy the live exchange after trading ends. Buyers exchange public keys to transfer funds between digital wallets, a process that is efficient and easy. Aside from trading, Bitcoin Center NYC is a prime location for the avid Bitcoiner as well as users new to the growing cryptocurrency market. In fact, a majority of those in attendance are often individuals new to Bitcoin, just seeking additional knowledge and experience. Live trading is only a minor aspect of the future of the Bitcoin ecosystem. Bitcoin Center NYC’s real value lies in giving people a place to congregate, share ideas and get excited about the Bitcoin community in New York City. Bitcoin was created as a peer-to-peer payment system and because of this, the in-person payment is another way to get your hands on Bitcoin. In every corner of the world there are events much like those held at Bitcoin Center NYC. This approach to trading has created a seamless way to put Bitcoin in your virtual wallet within minutes. Bitcoin communities like the one in New York City and others around the world have helped drive Bitcoin’s meteoric rise “to the moon.” With increasing transaction volumes and more individual involvement, Bitcoin will achieve continued long-term growth. Bitcoin Center NYC is setting the standard for the Bitcoin community – a place where people can learn, share and trade. Although cryptocurrencies are still very young, it is thanks to events like those held every Monday in New York City. Just off of Broad Street, a block from the NYSE houses one of the best places to begin your obsession with Bitcoin. Happy trading!